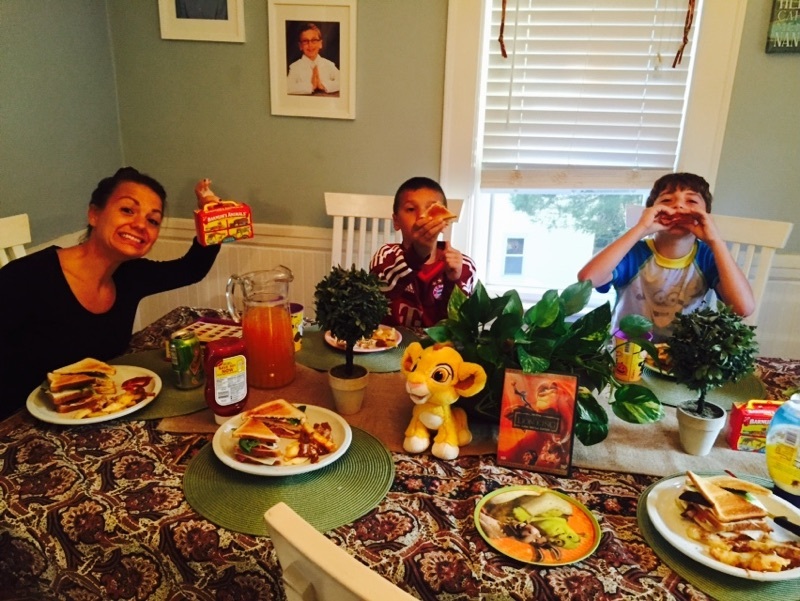 40 Years, 40 Disney Movies: Counting Down to Daddy’s Birthday Night 15 – The Lion King! Right-o, yet another installment of HOLY CRUD YOU ARE GONG TO BE OLD DADDY SO LET’S WATCH SOME MOVIES. And this time, we watched one of the big guns from the Disney golden age of the 90’s. 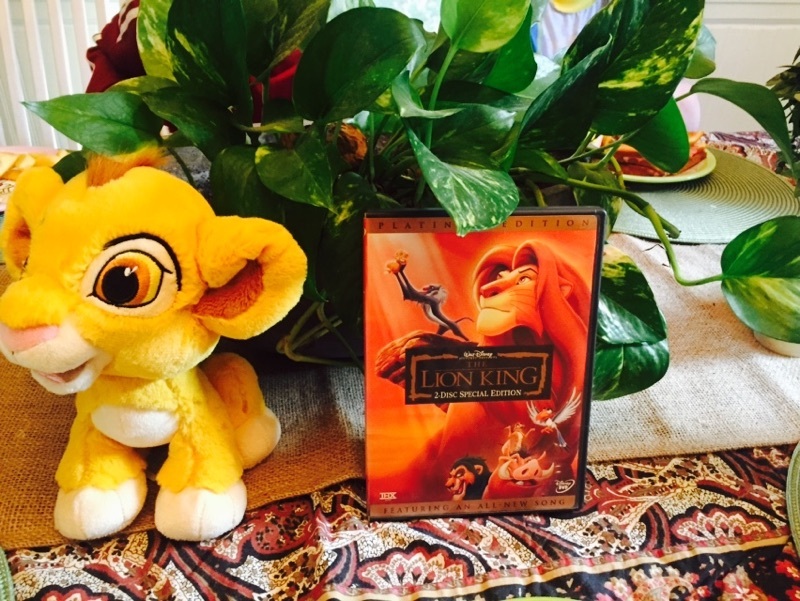 A movie that pretty much ruled my life for a while – The Lion King! Gah, so good. Oh I just can’t wait…to watch The Lion King. Though before we get into it, one thing has always bothered me about The Lion King. In the beginning and in the end (hey oh spoiler alert! 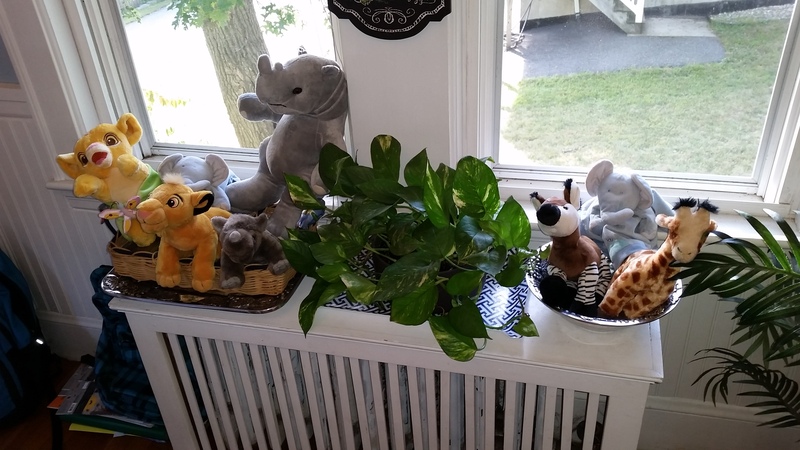 ), when the animals all gather at Pride Rock, something has always gnawed at me. Why are the zebras and antelope and all the other food so excited for this? I mean, essentially, we are just introducing another thing that wants to eat you into this world. I know, I know..circle of life, yadda yadda. But I mean, come on. This is literally the birth…of a monster that will eat you. If Godzilla was a real thing and he had a baby, I don’t think I would attend the christening. Just saying. Annnnyways – I digress. For this particular night (and for most of our other nights so far) Stephanie joined us. But, I actually think she went out afterwards with her “friends.” That was her story at least. Often, when we have done Lion King nights in the past, we have done steak because the supermarket was “fresh out of zebra,” but tonight we tried to do something a little different. 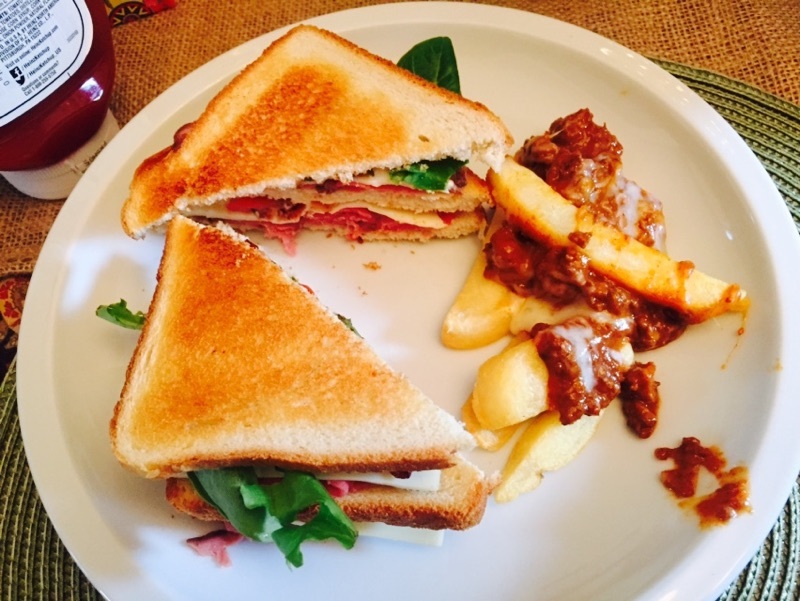 For the main course, we had “Make mine a” cub sandwiches – turkey/roast beef club sandwiches. And on the side we had Hakuna Potatoes – French fries with chili and cheese, animal crackers and jungle juice to drink. For dessert? 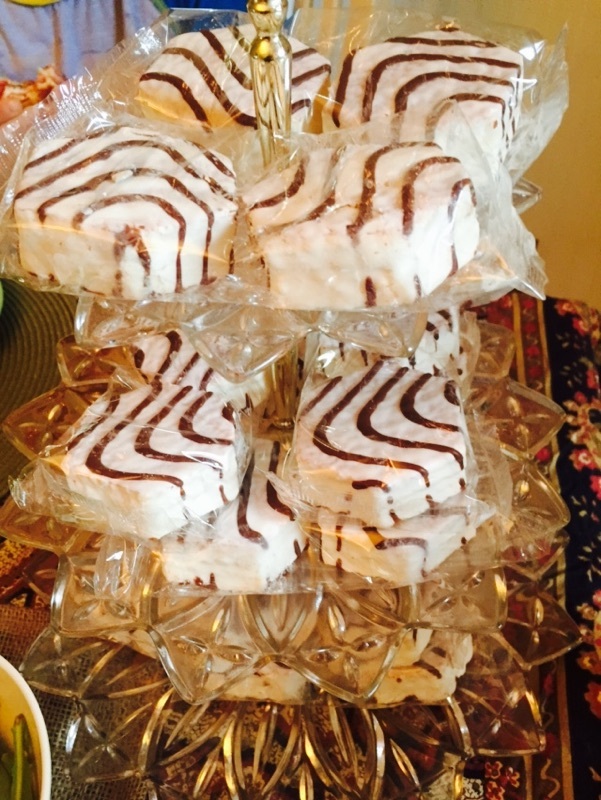 Zebra cakes of course. Oh Debbie. You may be little, but your propensity for a delicious snack cake is HUGE. 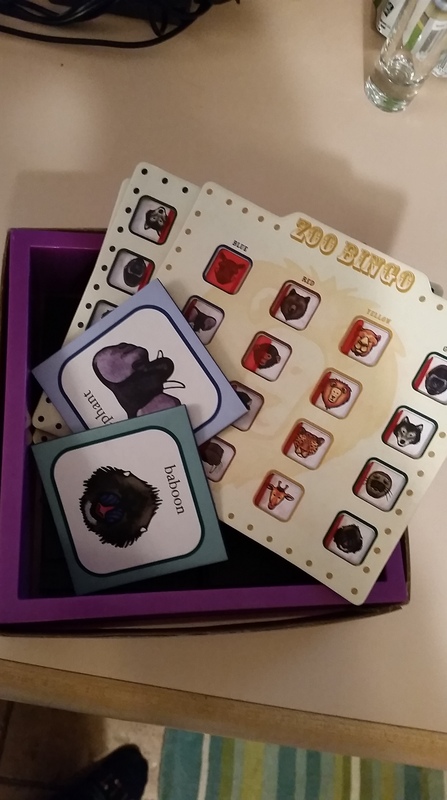 For the activity, we played a rousing game of Zoo Bingo. And when I say rousing, I mean…eh it was fun. I think. I was actually washing dishes while this was all going on. But it sounded amazing. I neglected to take a picture of the actual playing of this game so please enjoy this staged photo instead. When I first saw The Lion King came out in the summer of 1994, it hit me at a pretty important time in my life. It was just after my 18th birthday. I had just graduated high school and was heading to UMASS-Amherst in the fall. I was literally in the midst of transitioning from a goofy idiot teenager to a…well…goofy idiot man I guess. And her comes Disney, in a golden age of its own at that time, releasing a movie whose plot is focused strongly on a lion cub eventually becoming king (spoiler alert!) The movie hit me hard. I loved every single thing about it – the characters, the music, the animation, the story – everything worked perfectly in this movie. It was all at once exhilarating, hilarious, tragic and beautiful. 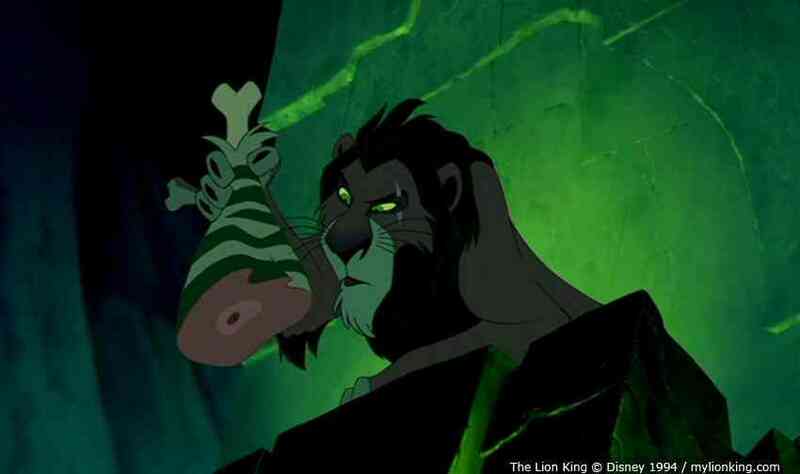 Scar instantly became my favorite Disney villain of all-time (Be Prepared? Best. Villain Song. Ever.) I bought the CD immediately (hey, remember CDs?). I waited impatiently for the movie to be released on video (hey, remember VHS?) And I proudly hung a Lion King poster aside my Janet Jackson poster (hey, remember Janet Jackson?) in my dorm room. You know, the one with the hands. I will allow one minute for personal Janet Jackson reflection here. Miss Jackson. If you’re nasty, that is…or polite, actually. At one point, I named The Lion King one of my favorite Disney movies of all-time. As time has gone on, my top 5 has morphed into different things but this movie still holds a special place in my heart. For all the reasons mentioned and for one more. There are two Disney movies that have grown to mean more to me because of one defining event in my life – the death of my father (the other being The Fox and the Hound for completely different reasons I will get into in a future post.) I did not see The Lion King with my dad when it came out but we did end up watching it together later (he was one of my favorite movie-watching buddies…as a side note, we DID see Pulp Fiction together that summer and were equally blown away.) Often, when my father and I would watch movies like this or listen to songs about parents and children, he would gravitate towards those stories and themes because they reminded him of the relationship he had with his boys. And he would also sometimes off-puttingly look for reasons to let me know he wasn’t always going to be here. The Lion King offered him that opportunity. Which was. Awkward? When he used to talk about that sort of thing, it often made me uncomfortable. But I know what he was doing. Just as he tried to prepare me and my brothers for whatever life threw at us, he wanted to especially prepare us for when he would be gone. And while I could never have been prepared to lose him, I understand what he was always trying to do. Especially now as a parent, I get always wanting to keep your kids ready for whatever life is gonna bring their way. And now when I watch this movie, not only do I think about my relationship with my dad but I also think about how much I want my own kids to be adequately prepared for their journey into manhood. But the power of movies like this astounds me sometimes. Watching a movie like The Lion King brings a little bit of him back into my life because it was something we shared. And despite being a 2-dimensional drawing, the stories that Disney tells are so “real.” I can watch Simba let go of his father and feel that pain but also understand the need to embrace life once again. The fact that these stories and emotions are attached to an animated lion cub do not take away from the fact that these are stories of human emotions – loss, love, friendship, anger, happiness and courage. Watching a good Disney movie is often a singular experience. We all bring our own personal stories into the mix and can all bring such different things out of it. 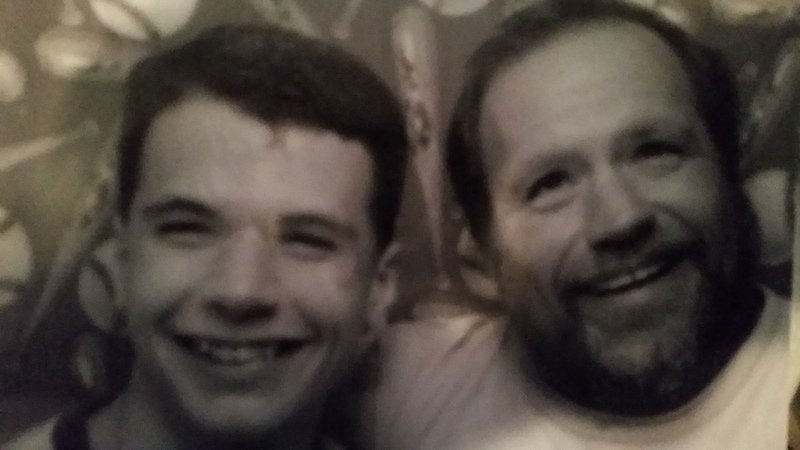 Me and Goody, Summer 1994. Next post40 Years, 40 Disney Movies: Counting Down to Daddy’s Birthday Night 16 – 101 Dalmatians!